The popular Mark Zuckerberg now planning to monetize WhatsApp by showing targeted ads in the app's Status feature. This act which was revealed by one of the previous owner and the founder of WhatsApp Brian Acton'. He said “placing targeted ads that what's make him so unhappy”. Facebook CEO Mark Zuckerberg’s aims to monetize WhatsApp forced the social media messaging service’s co-founders to leave the company. Mr. Brian Acton said in an interview That “Mark” is on a rush to make money with the popular messaging app's, he said “Mark” make an assurance That there have no aims in monetizing but is seems Mr. Zuckerberg's now betraying his personal principals regarding user privacy and making the app's free from ads, at the end of the interview Mr. Acton said "I am a sellout. I acknowledge that”, “Brian” got really pissed off with “Mark” Decision. 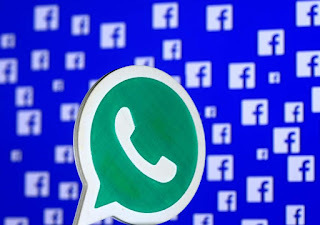 The new WhatsApp with ads will be introduce in 2019 the ads will only be targeted at the status features and the messages will remain "will remain end-to-end encrypted". This speech was announced by A spokesperson for WhatsApp.